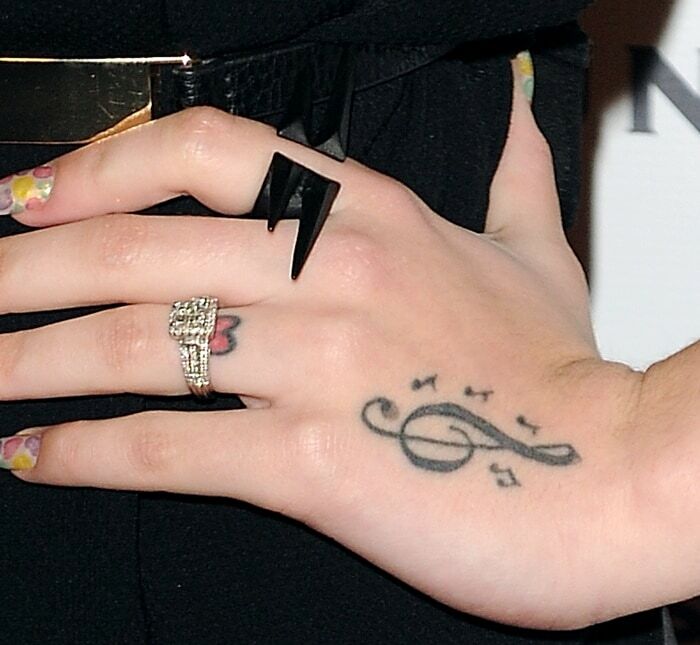 Cher Lloyd was spotted at the NARM Music Biz Awards dinner party the other night. The singer opted for an all-black outfit for the event and then paired her look with oxblood lips and a gorgeous set of gold-heeled shoes. Her ensemble consisted of a sleeveless tunic and leather pants. She accessorized with a gold belt and gold spiked earrings. How do you like Cher’s dinner party style? Would you happen to know where she got her shoes? And if $1,795 doesn’t suit your fancy, you can always try crystal-heeled options from BCBGMaxAzria. The pair below retails at a more affordable $250 at Nordstrom.